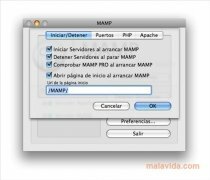 MAMP, the version of WAMP for Mac computers, allows any user to install a web server on his/her computer, with the objective of being able to test webs, install content editors or test his/her own online applications. 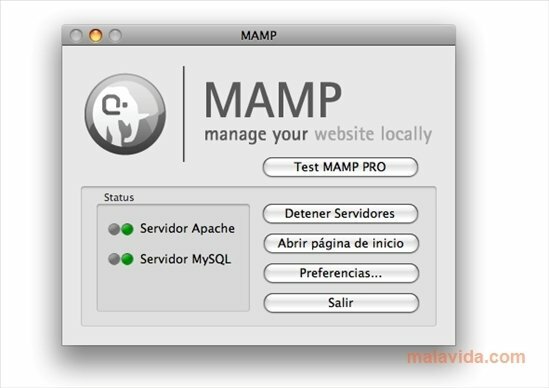 Installing and using it is very simple, so much that many users won't have any problems when it comes to using it, as well as including a widget for the Dashboard, with which to easily be able to check the status of the virtual server in the most comfortable way. 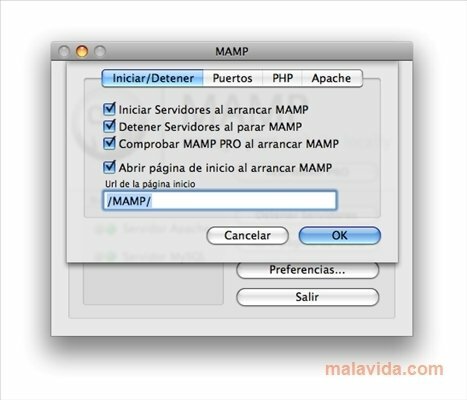 This pack of applications is mainly made up by Apache, MySQL, PHP, APC, eAccelerator, XCache, phpMyAdmin, Zend Optimizer and SQLiteManager. Once installed, we can launch the server from a simple interface, that has just the right amount of buttons so that we have no possibility of making a mistake. 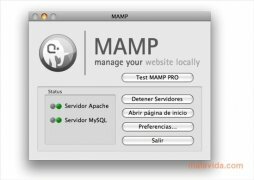 If you want to try out your website or your blog before uploading them to the Internet, with the maximum guarantees and in the most simple way, install MAMP (Macintosh Apache MySQL PHP) on your computer, the quickest way to install a web server on your Mac.